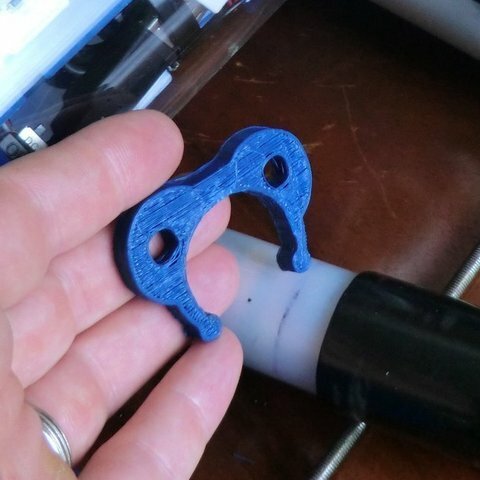 This is a tool for the OpenROV that slips onto the battery tube so that you can easily pull off the battery end tube caps without hurting your fingers. I've found that removing the rov's battery tube end caps with my fingers is challenging and painful because you have to forcefully use the tips of the fingers to slowly back off the cap. Also I do not think it would be possible to remove the caps if you were wearing gloves. Snap the puller onto the tube and place two fingers behind the tool and pull, the end cap will easily slide off because pressure is on the cap is evenly distributed.